The 28th President of the United States of America was Thomas Woodrow Wilson who won the presidential election in 1912 as a Democratic nominee. Wilson was the only president of the United Sates to hold a PhD degree. 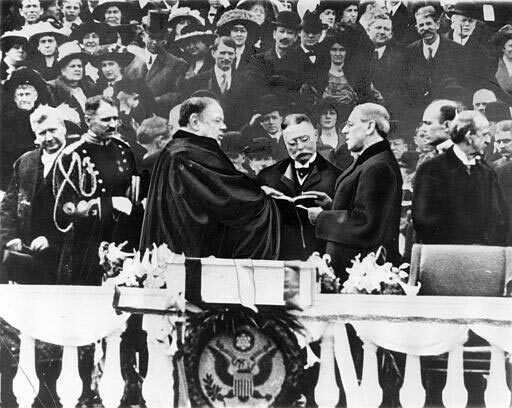 President Wilson on his first term was able to make progressive reforms through Congressional approvals. Included in the progressive enactments were the Federal Reserve Act, the Federal Trade Commission Act, a Clayton Antitrust Act, a Federal Farm Loan Act and the income tax law. President Wilson came to the world in Virginia (Staunton) some three days before New Year’s Day on 28th of December, 1856. He was the 3rd child of 4 kids of his loving parents. The wonderful parents of President Wilson were Jessie Janet Woodrow and the Reverend Dr. Joseph Ruggles Wilson. The ancestry of President Wilson was traceable to Scottish and Scots-Irish origins. The grandparents from his father’s side were originally from Strabane, County Tyrone, Ireland, in Northern Ireland today. In 1807, they immigrated into the United States. The former U.S. President was able to read for the first time when he was a little more than 10 years old. Dyslexia might have been affecting Wilson in his earlier years. He was able to develop his shorthand skills to compensate his reading difficulties. Self-discipline and determination enabled Wilson to become successful in the academia. The former U.S. President was hypertensive and might have suffered a stroke at the age of 39. On June 24, 1885, Ellen Louise Axson and Woodrow Wilson got married. The couple had 3 daughters – Margaret, Jessie and Eleanor. On December 18, 1915, Wilson got married with Edith Galt after the death in 1914 of the first wife. Wilson is one of three former presidents of the United States to become a widow while serving in the White House. He was an enthusiast of automobiles. The favorite of the former president was the Pierce-Arrow (1919). His preference in riding his favorite automobile was riding it with the top down. He advocated for the funding in the country’s public highways. As evidence that the former President was indeed an enthusiastic baseball fan, he was the only president in office to watch live a World Series game in 1915. The distinction belongs to President Wilson as the only president that threw a 1st ball in a game of the famous World Series in baseball. Cycling and golf were also in Wilson’s menu of sports. President Wilson studied for one year at Davidson University of North Carolina. He stayed for three years at Princeton College. In 1879 he received a Princeton baccalaureate degree. In 1883, Wilson started graduate study at John Hopkins University. Wilson received his PhD in political science and history after three years when he entered John Hopkins University. 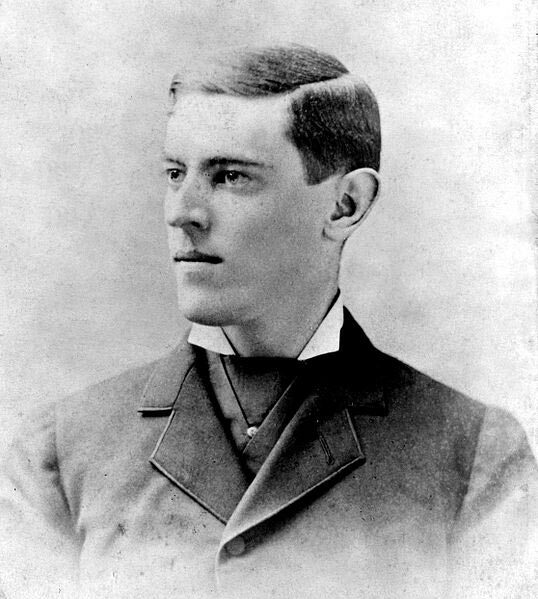 Woodrow Wilson was president of Princeton College from 1902 to 1910. His ideas for reforming education made him known to many. President Woodrow Wilson is among the greatest former American heads of the federal government. The reason was Wilson’s success in the expansion of the abilities of the federal government for economy management. Protection of the citizens and the establishment of a foreign policy were among the reasons why Wilson was considered as among the greatest Presidents of the U.S.
Wilson had a career which was respectable in the academic realm. The respectable academician became president of Princeton College sometime in 1902. The debut of Wilson in politics was in 1910 when he ran and won as governor of the state of New Jersey. Wilson threw his political hat to the federal fray as he was nominated by his party in the 1912 United States presidential elections. The presidential election of 1912 in the U.S. was a contest between four candidates. President William Howard Taft, the incumbent at the time, was nominated again by the Republican Party. The former president Theodore Roosevelt was one of the candidates. Eugene Debs was the fourth contender during the said United States presidential elections. It was an easy election victory for Wilson, the Democratic Party nominee, after a bitter campaign. The presidential bid of Woodrow Wilson in 1912 was supported by an unprecedented number of African Americans. These so called black Americans deserted the Republican Party to support a Democratic nominee for the White House. Despite that, there seemed to be an unofficial racial segregation in federal civil service positions during the administration of former President Wilson. Woodrow Wilson was the first president since Zachary Taylor that was identifiable with the South. Since Andrew Johnson, Wilson was the first occupant of the Oval Office to be a Southerner. He was the first Chief Executive of the United States since John Adams, in 1799, to make his State of the Union Address personally in Congress. Wilson was also the first Democratic president since the election in 1892 of Grover Cleveland. The 28th President of the United States was the second from the Democratic Party to occupy the White House since the end of the Civil War. Differences between the two conflicting factions of the Democratic during the presidency of Wilson had to be resolved. The differences were in the economic issues. On March 15, 1913, President Wilson held a press conference. The said dialogue with media representatives was the first modern press conference stages at the presidential level. Reports were permitted to ask Wilson questions of public concerns. It is said the death of the president’s wife on August 6, 1914 was responsible for a long period of depression for the president. The loneliness engulfing Wilson was eventually replaced with a feeling of happiness when he met and married his second wife late in 1915. The United States presidential election in 1916 was held when Europe was being devastated by war. Charles Evans Hughes of the Republican Party challenged incumbent Woodrow Wilson in the presidential election. Wilson narrowly defeated Hughes banking on the policy of neutrality in the European war. Wilson presidential initiative for mediation was ignored by the warring groups. The declared policy of the United States when it came to the European war in 1914 was neutrality. After enduring much pressure, Wilson ended a policy of neutrality, and the U.S. entered the war after it was discovered that Germany was recruiting Mexico as an ally against the federal United States. 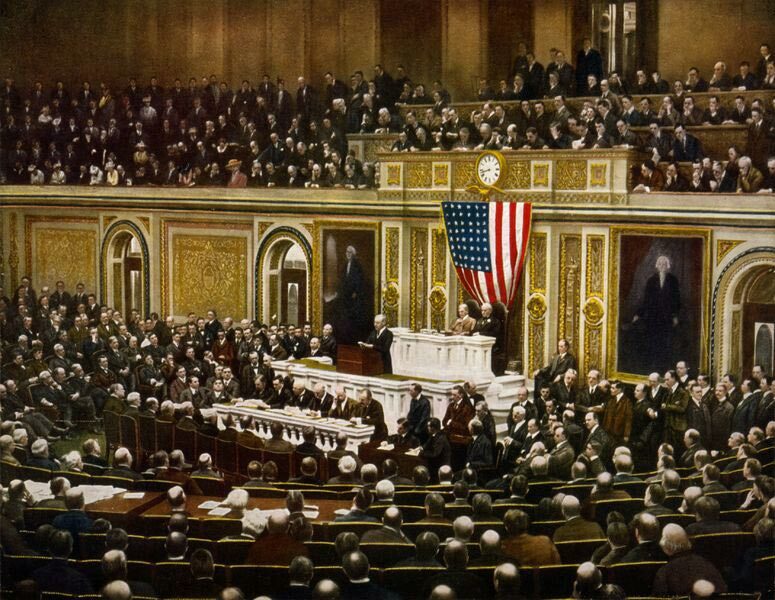 The Congressional approval was granted for entering the war in Europe on April 6, 1917. President Woodrow Wilson did not doubt the outcome of the entry of the United States into the war. There was a mobilization of the country’s manpower, industry, commerce, and including agriculture. The president himself led in the war of propaganda. The famous Fourteen Points of Wilson was considered as the winning factor for the United States and its allies in the first World War. It was envisioned that there will be a flourishment of peace, justice and freedom in the world. 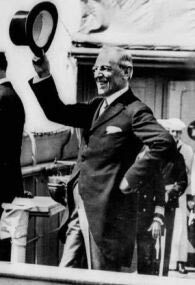 President Wilson was able to achieve the adaption of a Covenant of the League of Nations. This was part of an agreement for a cessation of hostilities in World War I. The international acceptance of the League of Nations was not the same inside the United States. The U.S. Senate defeated the pact when it was put for ratification by the Senate. There are three factors that were considered to affect the Senate ratification of the document for a League of Nations; the failure of the president to appoint to the peace panel from the Republican Party or the Senate, failure of the president to offer compromises, and the incapacity of the president days before the vote of the Senate. There were no plans for demobilizing after the First World War. Wilson had hope that the League of Nations would be the main issue for the Democratic Party convention for the 1920 elections. The campaign for the ratification of the Covenant of the League of Nations was the main reason for the incapacitation of President Wilson. The several speeches he made in support for the League of Nations were stressful to his health. On October 2, 1919, Wilson suffered a stroke. The attack almost incapacitated the president totally. The left side of the body of Wilson was paralyzed, and his left eye became blind. The president was bedridden for some weeks. Only his wife and his doctor were allowed to visit the president. Wilson was wheelchair bound for a few months; then he was able to walk using a cane. The real state of the disability of Woodrow Wilson was kept secret to the public until his death. President Wilson was an altruist. The vision of the former United States president for a League of Nations would no longer be possible. Wilson is highly regarded by history. Woodrow Wilson was a man with very high principles. Peace and progress was placed in the president’s priorities in the highest urgency. The Treaty of Versailles would be successful in the objectives if participating parties had implemented the same. President Wilson was feeling that he lied to Americans when the Congress did not support the president in the League of Nations issue. President Woodrow Wilson, as a legacy, is considered a revolutionary individual in the history of the United States of America. 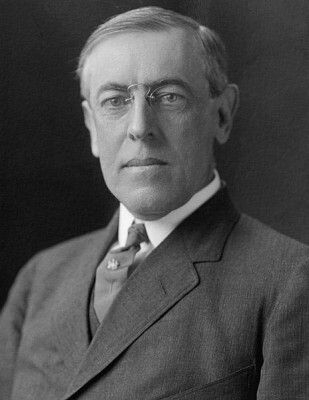 Wilson was the first president of the America to assume the position of an international leader. The First World War was ongoing in Europe during the Wilson’s presidency in the United States. He used the slogan “He kept U.S. out of war” effectively in his reelection bid. After the term as president ended, Woodrow Wilson and his wife settled and retired. A 1915 mansion in Embassy Row of Washington D.C. was their retirement place. Wilson continued what he was doing previously when he was still president; the daily routine of driving. He also made the attendance to the Vaudeville Theater of Keith a continual practice every Saturday. 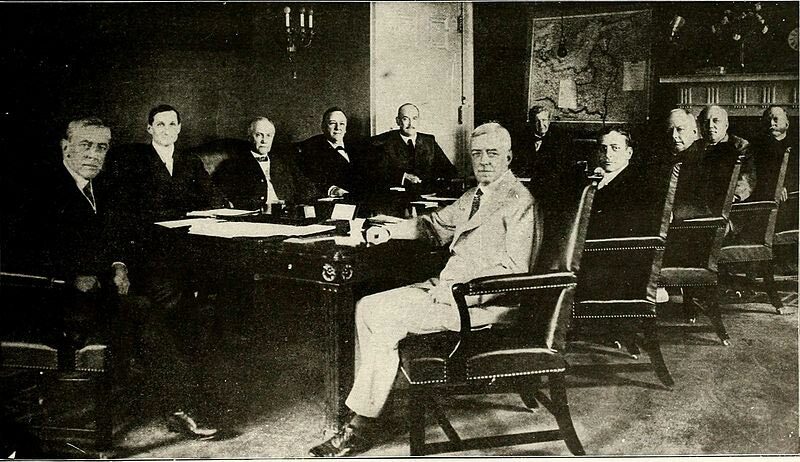 The American Association had Woodrow Wilson as its president. There were only two presidents from the association who were able to be elected to the White House, one of whom was Theodore Roosevelt. The former president attended limited number of official ceremonies during his retirement. The burial of the Unknown Soldier on Armistice Day of 1921.The ceremonies before the actual burial in the National Cemetery in Arlington, Virginia was the attended by the former President. On August 8, 1923, Wilson attended the state funeral for the late President Warren G. Harding. The last nationwide address of the Woodrow Wilson was made on November 10, 1923 broadcasted over national radio from the library of his retirement home. Some 20,000 well-wishers who gathered outside the home of the former were able to hear him personally. It happened a day after the last radio address of the former president. February 3, 1924 was the date Woodrow Wilson died. The death of the former president occurred at the S Street home on that day. The place of burial of the president of the United States during the First World War was located at the Washington National Cathedral. Wilson had written his will on May 31, 1917 which was one page. The United States Post Office issued a stamp on December 28, 1925 to commemorate the presidency of President Wilson. The stamp was a 17 cent one honoring the former Chief Executive. A 7¢ Liberty postage stamp was issued on January 10, 1956 was for honoring the 28th president of the United States. A United States Navy ballistic missile submarine was named after the former president. It was the USS Woodrow Wilson or the SSBN-624, a Lafayette class attack submarine. The Woodrow Wilson School of Public and International Affairs in 1930 was created at the Princeton University. It was founded to commemorate the interest of Wilson in the preparation of students in leadership for both public and international affairs. The Shadow Lawn was integrated in 1956 with the Monmouth University. The place was the Wilson White House in summer time. President Woodrow Wilson was one of the most revered presidents of the United States. He advocated many reforms. He tried to be a man of peace and freedom yet he became the leader of a nation which entered a war. The report neglects to mention that Wilson segregated the federal cafeterias and favorably commented on the racially biased film shown in the White House theater.